According to eMarketer, sales from the e-commerce sector will reach up to $27 trillion by 2020! With the advent of globalization, faster internet; world has become a local destination for shopping. From books to bikes, from candle to chandelier, you can shop anything on e-commerce websites. The most important aspects of the e-commerce websites are quick delivery, assured quality and wide range of products; everything at the most reasonable price. Here, we have listed the Top 9 e-commerce websites in the world according to their revenue, employees and Alexa rank. Founded by Jeff Bezos in May, 1996, Amazon started with selling books online at reasonable prices. Since then, Amazon has marked its presence all over the world. It offers wide range of products at the most affordable prices. Currently, Amazon has 1,54,000 employees and a total revenue of $105 billion in 2015. Walmart started with a departmental store in Roger, Arkansas, USA. Currently, Walmart is operating 11,539 stores all over the world and an online e-commerce as well. It has a whooping turnover of $482.1 billion in 2016 till now. 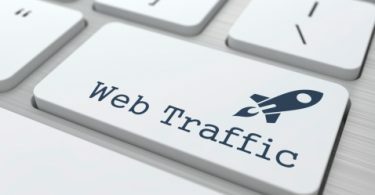 It has a global Alexa rank of 164 and 302 million online visitors. Ikea is undoubtedly world’s largest online furniture retail store. Founded in 1943, this Swedish online store has its operations all over the world. Very soon, it will mark its grand presence in India as well. It has 1,43,086 employees and a total revenue of $44.4 billion in 2015. Flipkart was India’s first major e-commerce store. Founded by Sachin Bansal in 2007, it followed Amazon’s steps and started with selling books. Currently, it has a turnover of $1.5 billion in 2015. It is registered in Singapore but has its headquarters in Bangalore, India. Alibaba launched the highest IPO at New York Exchange worth $25 billion in 2014. Founded by Jack Ma in 1999 in Hangzhou, China; it has marked its presence in the whole world. It is one of the most valuable companies in the world along with its subsidiaries Alipay and Taobao. Bestbuy is an e-commerce website which deals in electronic goods only. It is based in USA with its headquarters at Richfield, Minnesota, USA. It has total revenue of $39.53 billion till now. Interestingly, Bestbuy was founded by Richard M Schulze and Gary Smoliak in 1966 as an audio specialty store. As the name depicts, it deals in all kinds of utilities for homes. Based in USA, it has its presence in Canada and Mexico as well. It accrued enviable revenue of $83.15 billion till now in 2016. You can visit the online store if you want to buy construction tools for your home. Target is the second largest discount retailer in USA with total revenue of $73.78 billion in 2015. It has a workforce of 3,41,000 and 137 million monthly visitors. This clearly boasts about the strength of Target in the e-commerce industry. Relatively a new venture, Snapdeal is on a considerable growth. It is giving a tough competition to major players like Amazon and Flipkart. It was founded by Kunal Bahl in 2010 and it is headquartered in Okhla, New Delhi. It has a global Alexa rank of 235.